Got health-related symptoms? There’s a Trokie for that. 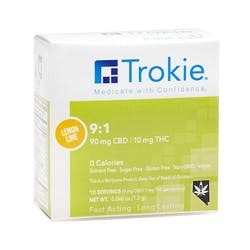 Trokie is intently focused on one thing: fast-acting, long-lasting relief. Why? So you can get your life back, plain and simple. Our medicinal cannabis products, including lozenges, pain patches and microdose capsules, have been meticulously developed by Dr. Kenton Crowley, a well-respected Doctor of Pharmacy. Scientific research and inventive thinking continue to drive the creation of Trokie relief solutions. 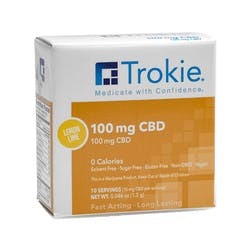 Founder and creator of Trokie, Dr. Crowley is a highly trained executive with more than 30 years of experience in the pharmaceutical industry and clinical medicine. 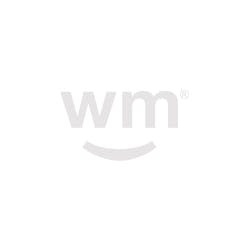 He’s developed and patented premium medical-grade cannabis products for the treatment of neuropathic pain and other health-compromising symptoms—something no other company has done to date. 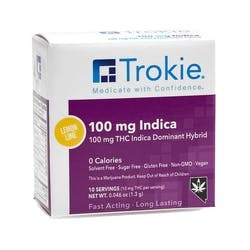 Because of Trokie’s dedication to exceptional purity and quality, you know you can medicate with confidence. Excellent product. Best edible yet. I bought a couple of these a while back , and I thought they were decent , they helped with sleep , and helped a little with my FMS pain . I would buy them again . 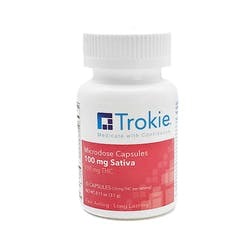 I tried the THC/ CBD varieties .